There’s only one Elvis Presley, John Lennon, and Jimi Hendrix. Each personified rock and roll in his day. Each changed rock and roll in a different way. Each left a legacy of music, memories, and memorabilia. That memorabilia now sells for big bucks. Fans, collectors and even other musicians want to buy rock and roll memorabilia. The music memorabilia market has expanded significantly since its early days in the 1970s. Today, auction houses like Goldin Auctions include rock memorabilia right next to game-worn baseball jerseys and autographed football helmets. Desirability of the musician: Just like Mickey Mantle memorabilia are valued higher than Jacoby Ellsbury’s, items from Stevie Ray Vaughan are worth more than items from Norman Greenbaum (of “Spirit in the Sky” fame). Even diehard Norman Greenbaum fans would agree. Rarity: Rare items have inherent value. Buddy Holly, for example, died tragically young. If you have his autograph, it’s a rare find that’s even more valuable than Bob Dylan’s autograph. As great an artist as Dylan is, he’s still signing things; Buddy Holly isn’t. Age: When you look to buy rock and roll memorabilia, look for items from the older groups. They hold the most value. For example, a letter signed by Jim Morrison is worth a lot more than a letter signed by Michael Stipe. Nothing against Michael Stipe. Condition: Just as a mint condition Roberto Clemente rookie card is worth more than a beat-up copy of the same card, a vintage poster advertising an early concert by The Rolling Stones generates more interest and value than a worn version of the same poster. Original Value: A guitar costs more than a tambourine. So, it’s obvious that John Lennon’s psychedelic-painted 1965 Rolls Royce is going to be significantly more valuable than a signed poster of him and Yoko. 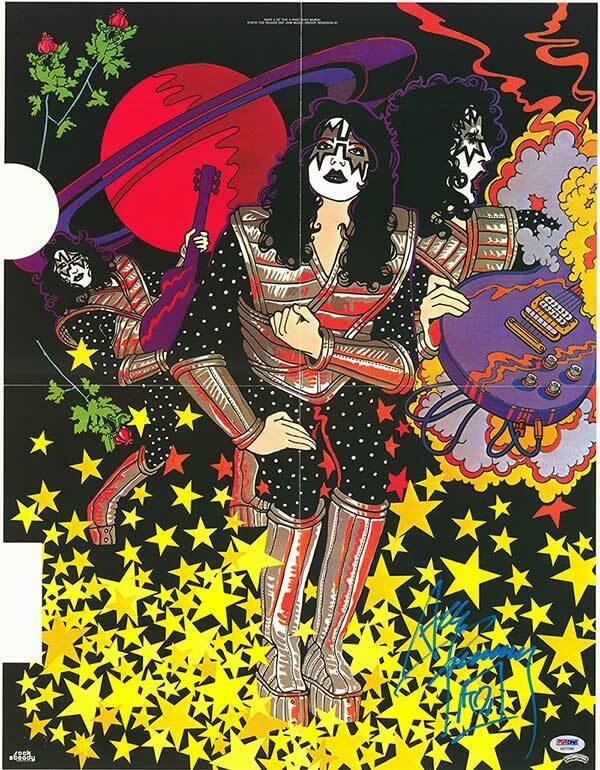 Buy Rock and Roll Memorabilia! Signed items — such as letters, posters, drum skins, lyric sheets, concert tickets or even napkins. Their value can increase dramatically. Michael Jackson’s autograph increased 1000 percent from 2000 to 2013. Items from iconic newer bands — such as Madonna, Nirvana and Prince — are expected to increase in value over the next 20 years. Nothing is guaranteed, however, so invest wisely. Bob Dylan has seen his memorabilia sell for millions of dollars. But not all of it is that expensive. Now may be a good time to collect what you can while prices are still reasonable. Punk music made a splash in the 1990s. Memorabilia from that time may bring big dividends in the future. 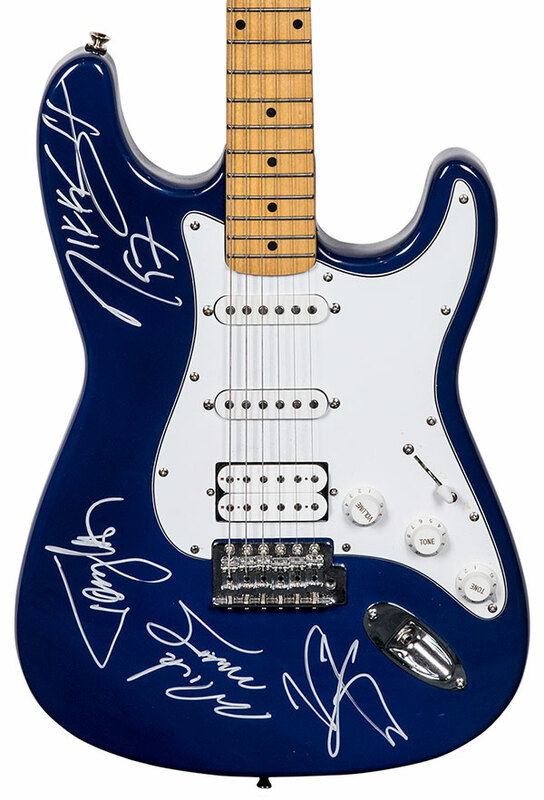 Buy rock and roll memorabilia of the rock classics like the Beatles, Stones, Elvis and others. Just like vintage baseball cards, these items won’t ever fall out of fashion.